When you walk through the doors of our office, you will be treated like an individual person. We have learned that no one person is the same, and everyone comes to us with a unique concern and knowledge about dentistry. At Sun Dental Design, we have a combined knowledge of more than 100 years of experience, exceptional service, and the latest proven dental technologies to provide you with the utmost personalized care in the most comfortable environment. A large part of our practice philosophy is based on providing you with options. But before that can happen, there is quite a bit of listening and learning about what is most important to you. Only from this point forward, can we provide you with a complete treatment plan that fits your goals, timeline, and budget. Every one of our staff members take pride in their job in caring for our patients. 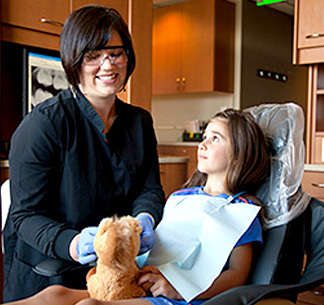 We make it a priority to be friendly, understanding, and personable so even our most fearful patients feel at ease. We’re more than just another dental office; you will be treated like a member of our dental family. We are all well-trained in all aspects of dentistry. Our services include restorative dentistry, preventive care (teeth cleaning and periodontal disease maintenance), cosmetic dentistry (tooth bonding, veneers, and whitening), implants, crowns and bridges, and family dentistry. At Sun Dental Design, we welcome everyone from babies to seniors. We enjoy delivering routine treatments, but also love those challenging cases. We will work hard to earn your respect and trust as your dental professionals. Call us today at 206-362-6116 to schedule an appointment!